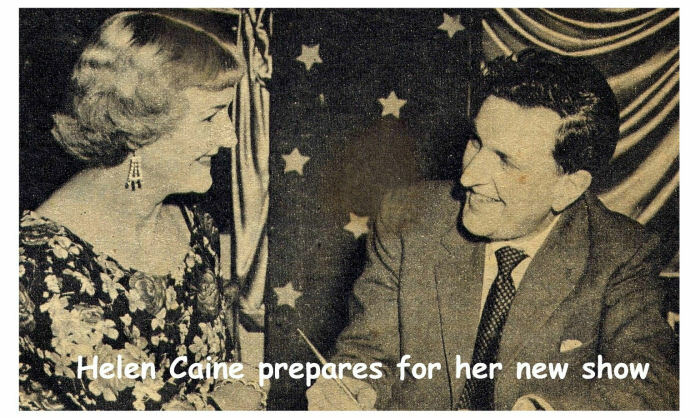 Nellie Cain was born in 1912 to parents Walter and Mary Cain. The family ran a fish and chip shop on the Hednesford Road, Heath Hayes (next to Bob Cadman’s hairdressers) where the Tanning Shop and Chinese Takeaway is today. There were four children in all, William Isaac, Walter, Florrie and Nellie. Nellie apparently hated living at the chip shop, as she had to seal her wardrobe against the smell to protect her evening dresses, which she wore for her performances. She had been singing since she was 5 years old, and in later years started a singing group consisting of mainly her pupils, called Romance in Song, and it quickly became very popular. They performed for many charities, old people’s homes, local shows and theatres, often with the Cannock dancing school run by Margaret Stone – The Stonetta School of Dance. 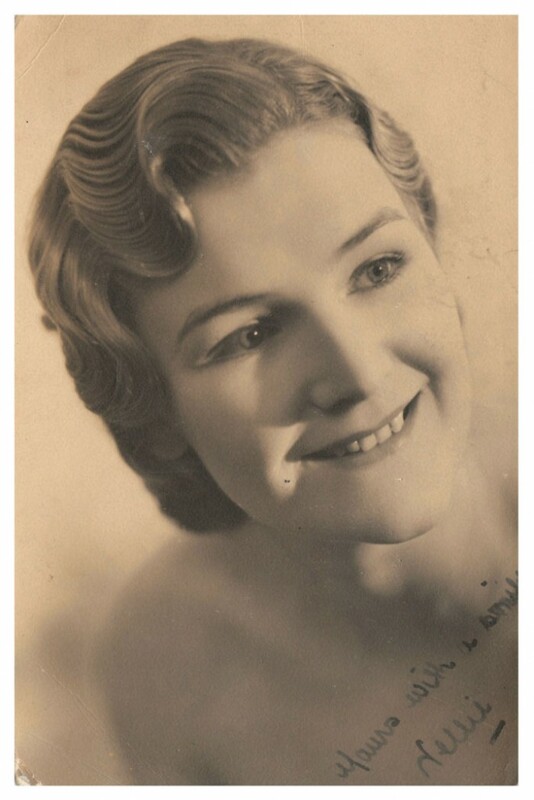 Nellie, or Helen Cain as she was known professionally was a magnificent soprano, and won many talent competitions including the Gaumont British Golden Voice in 1937. As well as singing with her group she also appeared as a solo artist across the country. Many, many local people had singing lessons with Nellie, and every single person recalls how beautiful, talented and generous she was. One of her pupils Edna Emery (nee Jones), who kindly provided the photograph, remembers Nellie giving her an evening dress, which after alterations was worn for many of her own singing and dancing shows. Mrs Catherine Twyman, another pupil, was given a coat by Nellie on which she could still smell her perfume. Cath was due to sing on Radio Luxembourg with Nellie playing the piano for her, but sadly Nellie died before this could take place. 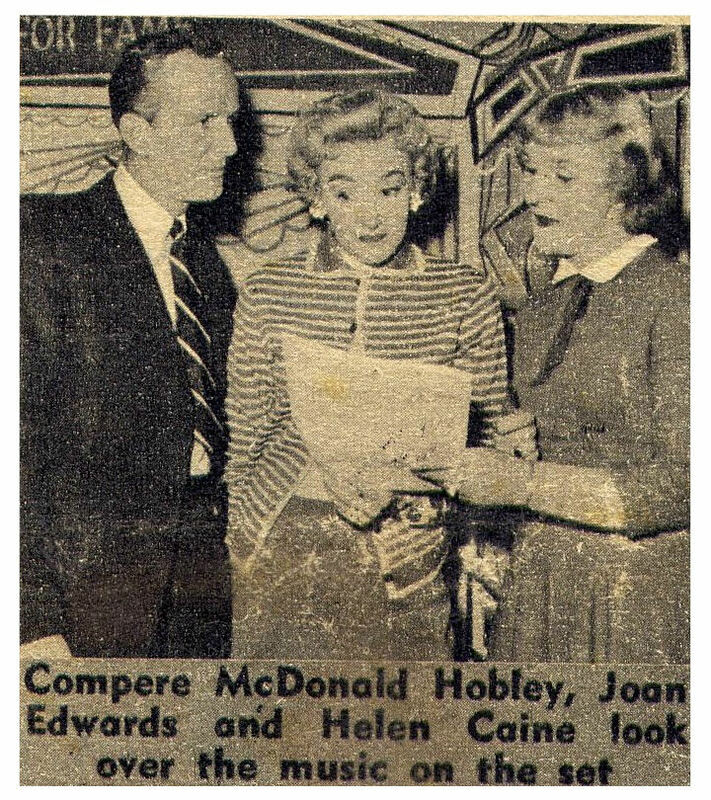 Thanks to Cath for loaning me her scrapbook showing ‘Helen’ at the ATV studios during 1957. In 1941 Nellie married Richard Orgee at St. Anne’s Church, Chasetown. They had two sons, Vernon born in 1942 and Stephen in 1944. Nellie got her break into T.V. after auditioning for a television programme called Bid for Fame held at the ATV studios in Birmingham. 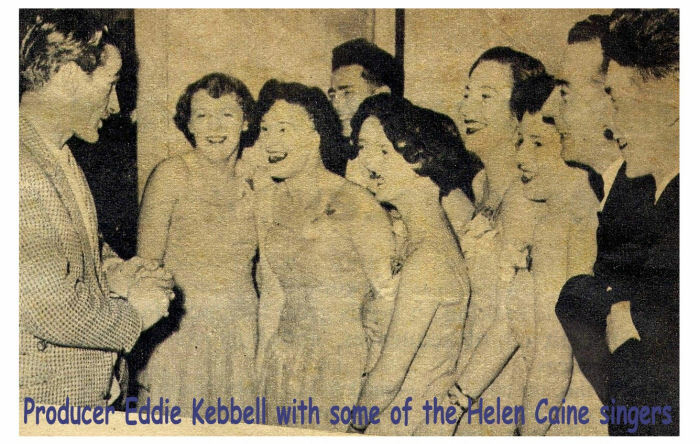 The producer of the show gave the group the new name of Helen Cain and her Bid for Fame singers. The group had its own solo spot as well as accompanying other artists. By this time Nellie and Richard had sadly divorced, and she was now engaged to Major Ernest Wills of Cannock. Tragically on 16th January 1958 Nellie was killed in a car accident with a lorry. It occurred during the afternoon on the Chester Road, near Stonnall. After her untimely death her two sons moved to live in Malvern with their father. Nellie is buried in St. John’s Churchyard, Heath Hayes. Ruby Lycett, a pupil of Nellie’s since she was 11 years old, said how devastated the whole village was to hear of her death. Ruby said ‘that as we never saw her grow old, our memories will always be of a really beautiful lady with a beautiful voice’. Sincere thanks goes to everyone who kindly contacted me after reading my letter requesting information on our local celebrity Nellie Cain. There are far too many to mention, but my enquiries have led to contact with Nellie’s niece Brenda who lives in California, and another pupil Olwen Foster, now living in Australia. I hope to have stirred happy memories for you all.